The state appreciates the crucial gap unregistered orphanages fill– until something goes wrong. 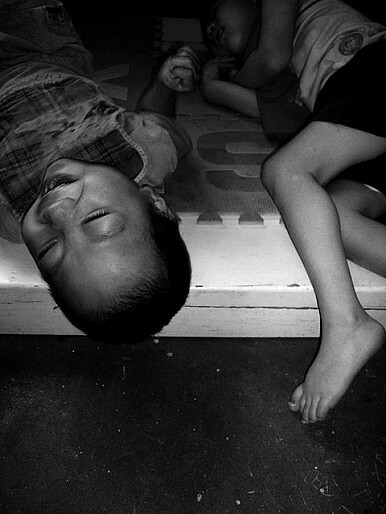 Unregulated orphanages are exceedingly common in China. Official government estimates put the number of “orphans” (the term is used loosely to include children who have been abandoned, and in fact have one or both parents still living – the Chinese term for orphan, gu’er (孤儿) – literally “solitary/lonely child” accommodates this) in China at over half a million as of 2011. During fieldwork in eastern China in 2009 and 2010, I visited a number of these grassroots, unregistered orphanages. Many are run by the underground Catholic church. Most are not planned, but come into existence by “default” – typically, a baby is abandoned by its parents (the reasons behind the incidence of abandonment in China are complex, and include birth planning policies, gender, disability and poverty) into the care of known do-gooders in a village or town. The baby is taken in and cared for. Over time, word spreads that this is a safe place to leave children. Over time, more and more children are left at the “orphanage” gates (it is unclear whether the existence of such accessible local initiatives itself contributes to the local incidence of abandonment or not). Some care for hundreds of children, with no training, no regulation, no supervision, and, crucially, no financial support from the state. Very often, the children residents in these unregistered orphanages have no legal status in China because their identities are unknown, and there are no formal systems in place for unregistered orphanages to register their wards in the household registration system. This means that access to education, health care and employment can be problematic. In some of the “illegal” orphanages, the standard of care was satisfactory, especially as compared to local living standards. In others, even taking the general impoverished context into account, I encountered worrying examples of neglect, sometimes due to ignorance, and sometimes simply due to a lack of funds. One underground Catholic orphanage was frequently unable to pay for sufficient coal in winter, meaning that children would contract frostbite. In others, children with cerebral palsy are routinely tied to their chairs, as their overworked, untrained (and unpaid) caregivers know of no other way to ensure they don’t hurt themselves. Most of the children I encountered in these private orphanages were disabled – a key factor behind their abandonment – and in need of medical care, something it is frequently not possible to provide them with due to their rural isolation and the lack of support for these homes (although domestic and international NGOs are increasingly active in this regard). Deaths are, accordingly, common (as one sister recounted – “The mortality rate here in the ‘80s and ‘90s was very high, because we didn’t have the money to take the sick children to hospital”). Yuan Lihai, the woman who ran the Lankao orphanage, was known in her community as a selfless protector of orphans; in the wake of the fire, online rumors have blossomed, accusing her of cheating the welfare system and taking advantage of her wards. The circumstances behind the fire are unclear. A number of government officials have been stood down, apparently for their failure to supervise Yuan’s orphanage. The men and women I met in China were almost all motivated by a personal religious desire to help orphans in distress. However, in a system in which untold numbers of children are being cared for in unregulated institutions, in which the only safeguard against corruption and abuse are the personal moral codes of those involved, the Lankao tragedy is undoubtedly not the full extent of the problem. Apart from these policy concerns, which I discuss in more depth in my article China’s Orphan Welfare System: Laws, Policies and Filled Gaps, the question of the legality of unregistered orphanages is an interesting one from a socio-legal perspective. While The Huffington Post had no qualms about labeling the Lankao home illegal, a closer look at China’s local culture suggests that the black/white, legal/illegal dichotomy which presupposes a Western thinking about society, is not apposite in the Chinese context. It is highly unlikely that the Lankao home was not on the radar of local officials. My research suggests that such homes usually interact with the local government extensively, but this occurs outside of the formal legal framework. State-society interaction is characterized by informal, flexible and paternalistic negotiations with local officials, and mediated by structures of power and capacity. These negotiations are marked by a preoccupation with legitimacy over legality, and paternalistic discretion (on the part of local officials) over rigid adherence to the word of the law. Thus, while the word of the law might (and does) say that citizens need certification, approval and ongoing supervision to establish an orphanage, local officials widely turn a blind eye to these legal requirements, provided an “illegal” orphanage is seen as “legitimate” (socially and politically). This is commonly referred to in China as the “one eye open, one eye closed” approach, and seems to be a common modus operandi at the local government level. Of course, when something like the Lankao fire occurs – a tragedy for those involved, and an embarrassment for the Chinese government – both eyes open, and the orphanage is quickly deemed “illegal”. But for the unknown number of other unregistered orphanages across China, legality is neither here nor there – at least until the next accident or scandal takes place. Anna J. High is Visiting Assistant Professor at Marquette University Law School. This piece initially appeared on OxOn China, a collaborative project between Politics in Spires and the Oxford China Centre. US, China Harbor Concerns About RIMPAC China’s 'War Against Poverty'Why is China so Afraid of a Small Protest?Xi Jinping's Great SocietyWhat Are China’s Plans for its Airborne Corps?